Even if you're not the biggest fan of the Kardashians, chances are you've been keeping up this week. On Tuesday, news hit that Tristan Thompson allegedly cheated on Khloé Kardashian with Kylie Jenner's best friend Jordyn Woods. Yes, it's a lot. And yes, everyone--even the family--is shocked. 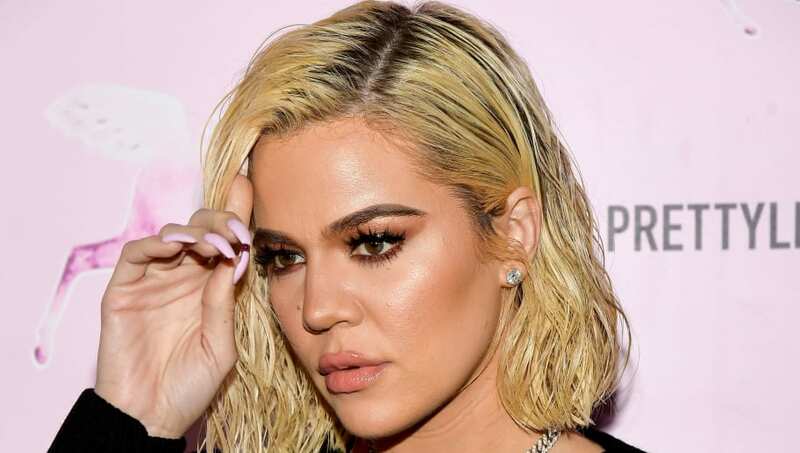 Since the news started circulating, Khloé and Kim have made their stance known, with the 34-year-old reality star all but confirming the scandal with social media comments, and the 38-year-old businesswoman unfollowing both Jordyn and Tristan on Instagram. The whole situation is hard to believe, and we can't even imagine how KoKo is feeling. According to E! News, Khloé found out about the scandal a day before the headlines began. "Khloé first started hearing things on Monday," a source told the publication. "She wasn't sure if it was true and started to ask around. She knew it had happened for sure on Tuesday." We're assuming Khloé knew for sure the alleged hookup was true when people began coming out saying they were there that night. Hollywood Unlocked's Jason Lee told his followers that one of his writers saw Jordyn and Tristan all over each other. KoKo and her friends, Malika Haqq and Larsa Pippen, all reacted to the video. This is clearly a heartbreaking situation for all involved, especially considering this isn't the first time Khloé has been publicly humiliated by Tristan. Most will remember last April when Tristan's first cheating scandal went public, just days before KoKo gave birth to their first child. Absolutely shameful. At this point, we're just hoping for the best for Khloé. She deserves to be happy.